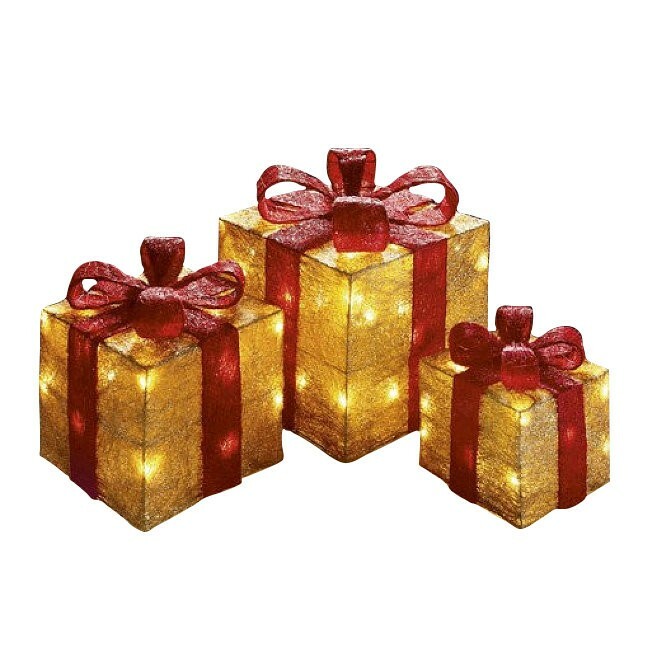 A fabulous trio of pre-lit display parcels. These Christmas parcel decorations will create the perfect seasonal display. A statement set, which can be displayed as purchased or equally effective when used as part of a larger display. Create your very own winter wonderland at the base of your Christmas tree! 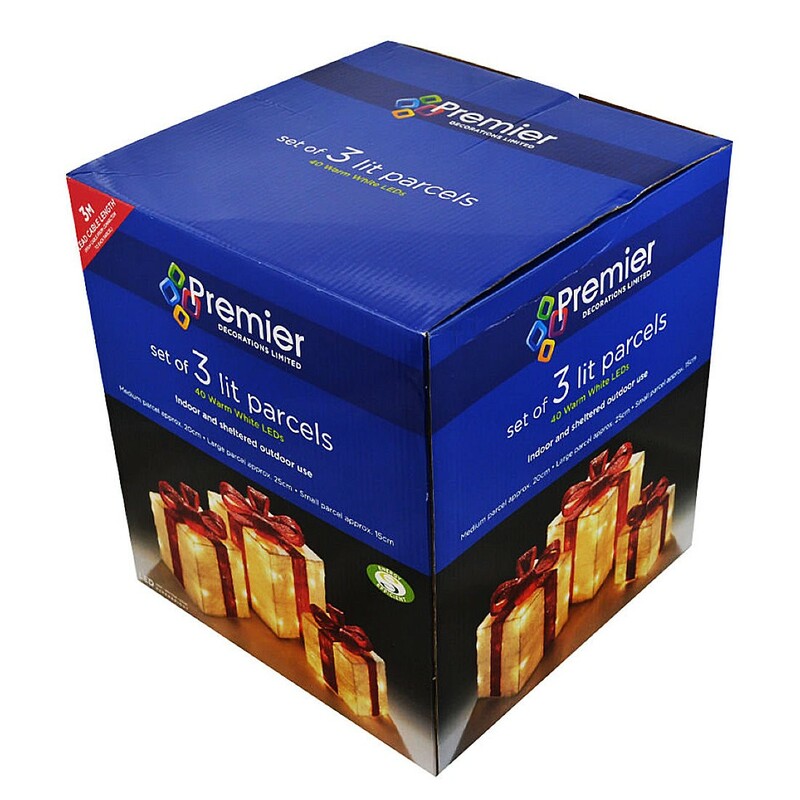 • Three parcels per pack measuring approx 25cm, 20cm & 15cm cubes.